Doing our part to renew the planet. At Spectrum, we take great pride in using materials that are sustainable and recyclable. We consider ourselves a “green” business, thanks in part to our FSC certification. It’s a respected designation that ensures all of our products come from responsibly managed forests that provide environmental, social, and economic benefits. The papers used for our folding cartons and packaging come from certified tree farms where trees are planted, harvested, and replanted specifically for the paper industry. Paper trees are treated just like any other crop, from apples to oranges and soybeans to corn. With every project, we try to avoid plastic materials because paper is more environmentally sound. 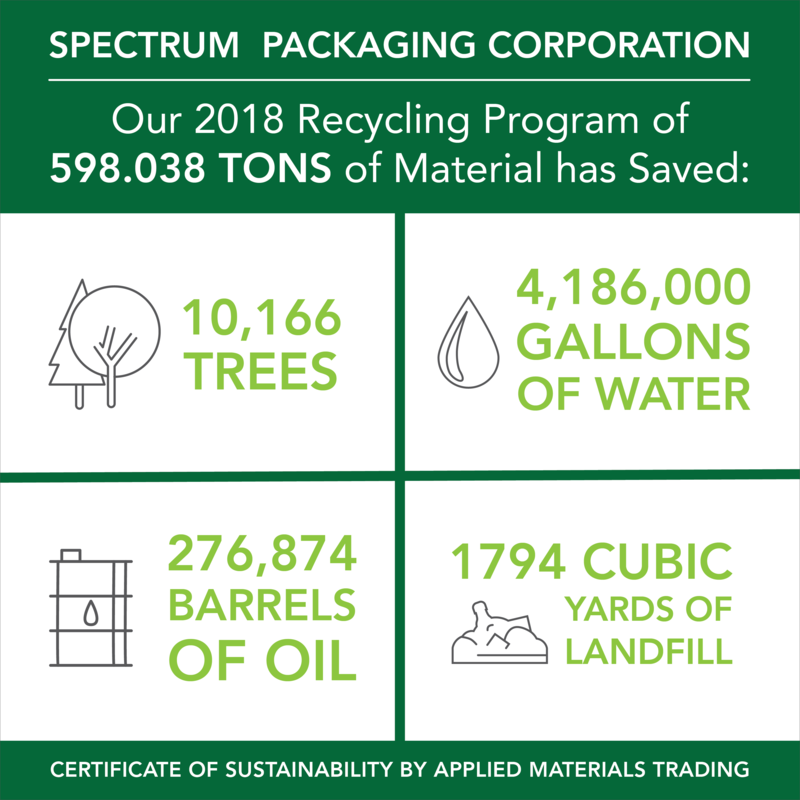 Partnering with an FSC-certified business like Spectrum is also a better way to promote your brand as one that cares about the environment. Did you know that paper farming actually increases the number of trees on our planet? In fact, for every tree harvested from a managed tree farm, five more trees are planted, resulting in 1.7 million new trees on our planet every year. Learn more about sustainability and the importance of paper tree farming. Click here.